Tokyo,Japan-January 6, 2018: A guy worships at a shrine early in the morning. Bow two times, clap hands two times and bow one time again is the appropriate way of worship. 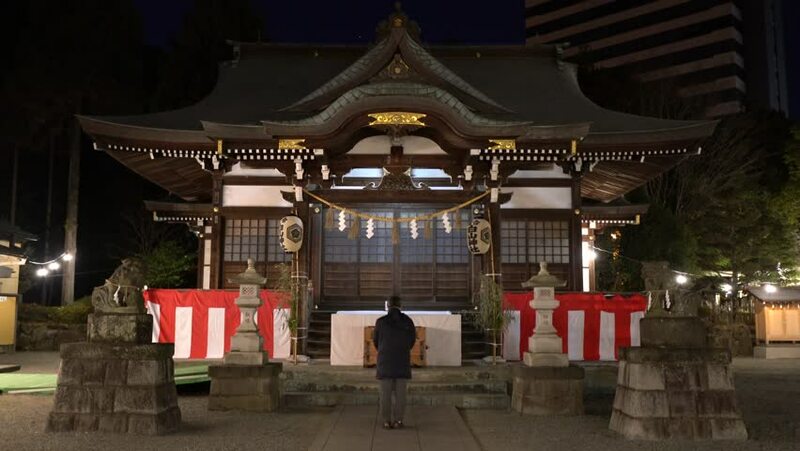 4k00:15Tokyo,Japan-January 6, 2018: It is so early in the morning that few people come to worship the shinto shrine. It is very quiet. 4k00:19GENEVA – DECEMBER 2014 : Christmas in Geneva timelapse with tracking shot. Find similar in our portfolio. hd00:26KYOTO, JAPAN - MARCH 26: Buildings of the Shikiji Jinja Temple in Kyoto, Japan on March 26, 2014. There are 1,600 Buddhist temples scattered throughout the prefecture of Kyoto.